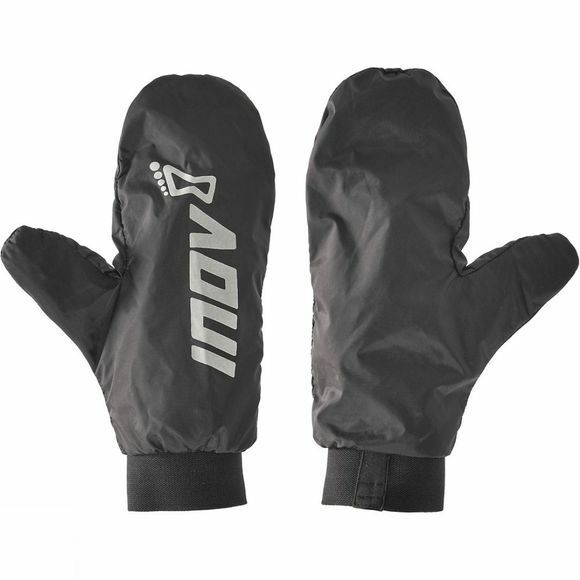 A waterproof running mitt designed for lightweight protection in wet weather conditions. Stretchable wrist loops connect to the cuffs, minimizing the risk of the mitt being lost and giving the runner more versatility in its use. Stay dry: Delivers waterproof protection so hands stay dry when running in wet conditions. Extra protection: Worn over a glove, the mitt not only keeps the rain out but offers an extra layer of warmth. Lightweight and easy to carry: Small enough to fit into any of our shorts or tights rear zipped pockets when not needed.